India, while striving to achieve higher economic growth in terms of gross domestic product, is notorious for the increasing number of farmer suicides due to crop failure. 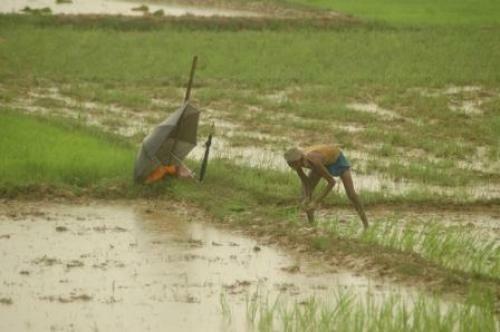 Farmers suffer from two major maladies in India. Eighty-five per cent of small and marginal farmers depend on market borrowing from money lenders at 2 per cent interest per month (24 per cent interest per annum). In the absence of any National Crop Insurance Cover, there is no safety net available to them. Even when crops such as paddy register bumper production, in the absence of procurement through Food Corporation of India camps at “minimum support price”, farmers commit suicide. This was witnessed in Bardhaman district of West Bengal a few years ago. A media report (The Telegraph, July 6, 2016, Calcutta) states that the government has decided to continue interest subsidy for cultivation scheme for farmers, offering a relief of 300 basis points for short-term crop loans of up to Rs 3 lakh. Farmers can get a loan for one year at 7 per cent interest, but those who repay on time can get the loan at 4 per cent. The loan target has also been raised to Rs 9 lakh, with an allocation of Rs 15,000 crore. It may be mentioned that in 2014-15, the actual loan amount availed of stood at Rs 6,000 crore. It was more than double (Rs 13,000 crore) in 2015-16 and the budget allocation has been Rs 15,000 crore. The other announcement of crop insurance has been repeatedly broadcast over FM radio channels. The Prime Minister, in his recent TV interview with Arnab Goswami, mentioned about the need for the same. If the entire programme of the Government of India becomes operative, for the first time, farmers in India can expect an effective crop insurance coverage where the premium will be heavily subsidised by the government. This news can perhaps prevent farmer suicides, provided the benefit of the scheme reaches them.